Summer is fighting season in Virginia. During the American Civil War, the opposing Union and Confederate armies had to wait for winter snows to recede and supply roads to dry before recommencing battle. 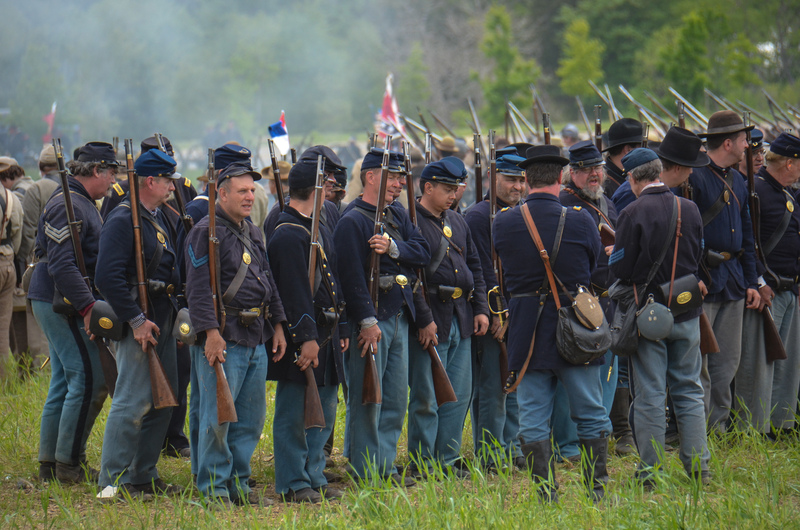 More than 150 years later, summer armies still meet each year, pitting South against North, family against family, though this time in huge re-enactments at various historic battle sites across the state. The biggest of these are held on an heroic scale. At Brandy Station, near Culpepper, I watched 8,000 volunteer soldiers and another 1,000 camp followers don uniforms and costumes to fight a series of highly orchestrated infantry and cavalry battles in front of 20,000 fascinated spectators. In the 1863 campaign, thousands died or were injured. Modern-day casualties? A sprained ankle or two, which is pretty amazing given the thundering cavalry charges, hand-to-hand combat, and gruesome coffee on sale in the re-enactors’ tented villages. Visitors come for the whole weekend, either to watch and marvel or – more obsessively – to assume the characters of Civil War-era soldiers and families. Trying to get a sensible answer (“Excuse me, where are the toilets?” – ‘Toilets? You mean the latrines? And salute me goddamit when you talk to me sir!’) out of a man pretending to be Robert E. Lee is not easy. And if you didn’t know better, you’d swear that the whole war had been fought over the vexed question of facial hair. In the Confederate encampment, hundreds of soldiers are exercising tyheir constitutional right to bear fearsome sets of whiskers. Meanwhile, in the Union Army camp, men with beards the size of small forests are keeping well back from the flying sparks of a campfire. There’s more role-playing at Pamplin Historical Park, near Petersburg, at the exceptional National Museum of the Civil War Soldier. More whiskered gents in tents demonstrate how to cook a salt pork hash, the daily fare for a humble soldier, while preserved earthworks, gun emplacements and costumed interpreters show what life was really like for the 3 million men who fought on both sides. Inside the museum, you follow the fortunes of real soldiers – like the farmer from Georgia, who joined the Confederate Army at the age of 21. The interactive displays finally reveal his fate – dead at 25 from typhoid, one of almost 400,000 who succumbed to disease rather than battlefield injury. The state of Virginia produces a fine set of self-guided Civil War Trails, designed to steer you around battle sites, national parks, museums, historic homes and other attractions. The itinerary is pretty much up to you, whether your interest is showpiece museums suchas Pamplin Park, the famous battle sites of Gettysburg and Manassass, or simple, hidden treasures such as the restored Mount Zion church in Loudon County, used as a hospital, prison, barracks and burial site during the war. 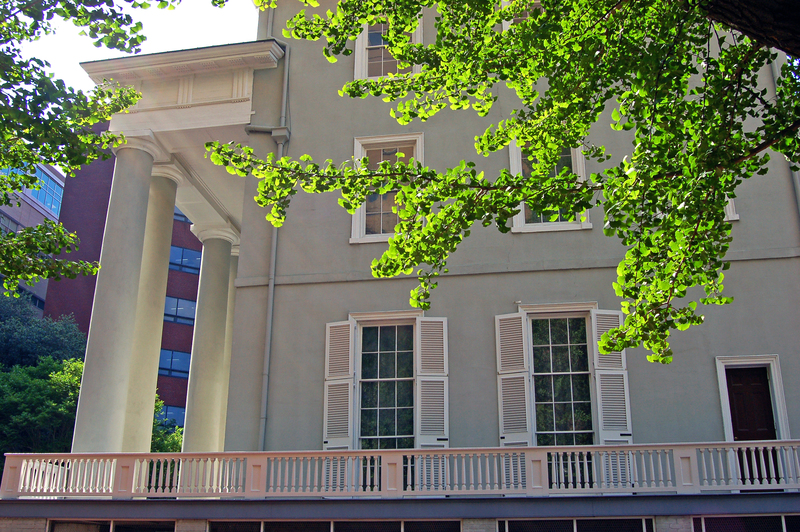 Down in Richmond – former Confederate capital and now Virginia’s state capital – attention focuses on tours of the city’s own so-called White House, where Confederate President Jefferson Davis lived with his young family. In the adjacent museum there’s a palpable beweliderment that somehow the South lost the war, though it wasn’t for lack of effort by tough Southern women such as Sarah Malinda Blalock. While other doughty matrons were merely tearing up their voluminous underwear to make field hospital bandages (a terrifying enough thought), Sarah volunteered as ‘Sam’ Blalock in the 26th North Carolina Infantry and remained undetected for years in a fighting man’s bloody world. Given this sort of heritage, it’s not the done thing in polite Virginian circles to suggest that you might like a bit of a rest from the Civil War. But the earliest 17th-century settlers in Virginia provided the wherewithal for a break from the war when they planted the first vineyards, and any tour you make should swing by at least one of these gorgeous wineries. No guns, no battles, just a couple of glasses of feisty Chardonnay in the paddock of Willowcroft, a bucolic farm vineyard near Leesburg, northern Virginia. 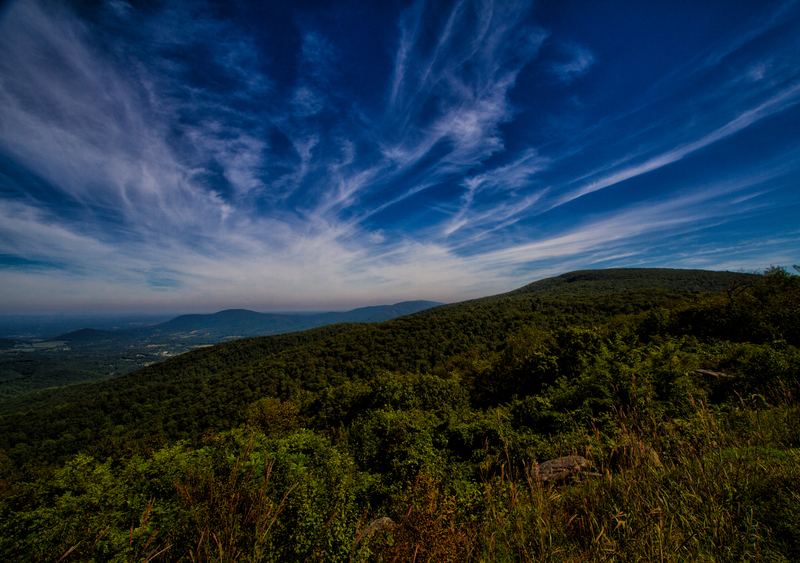 To the south stretch the Blue Ridge Mountains, the Shenandoah National Park and a scenic route – the Skyline Drive – which has few equals in America. Staying the night in country inns along the way shows you the gentler side of Virginia, and if you hanker after the definitive rural idyll, it’s time you paid homage at the museum on Walton Mountain, at Schuyler, south of Charlottesville. Yes. That Walton Mountain, that slice of 1930s’ Virginian country country life still coming to a TV near you. Light out, and altogether now – “Good night, Jim-Bob”.